Last December I wrote about some amazing Côte-Rôtie from France’s Northern Rhône Valley: E. Guigal’s La La’s — The Finest Côte-Rôtie?. I recently attended a Guigal event at XIV in Los Angeles and was fortunate to taste one of the La La’s: 1996 La Landonne! 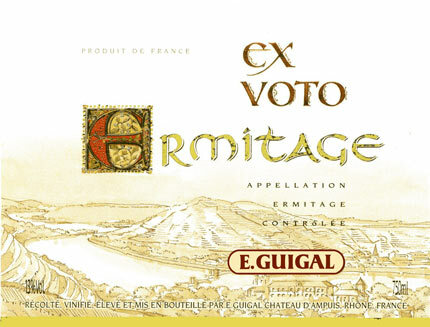 We also tasted 2006 and 2007 Ermitage Ex-Voto Rouge, 1996 Côte-Rôtie Chateau d’Ampuis, 2008 Saint-Joseph Vignes de l’Hospice, 2008 Saint Joseph Lieu-Dit Rouge, 2007 Ermitage Ex-Voto Blanc, 2009 Saint Joseph Lieu-Dit Blanc, 2009 Condrieu La Doriane, and several other Guigal gems. The wines showed extremely well, were excellent examples of their respective appellations, and exhibited superb balance. The wines, however, were not necessarily the only stars of the event. We were also fortunate to meet Philippe Guigal, who passionately led us through a presentation of the Rhône Valley in general, and then specifically the Northern Rhône, and his wonderful wines. Philippe is the third-generation winemaker who is ably continuing the proud tradition of his father, Marcel, and his grandfather, Etienne, the firm’s founder. 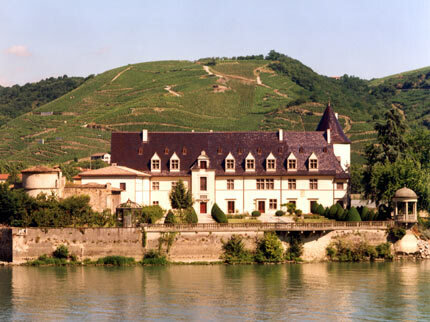 E. Guigal, located at Ampuis in the Northern Rhône (pictured above), is both a domaine and negociant. That is, they vinify grapes from their own estate vineyards and also purchase grapes and wines from other growers and producers throughout the Rhône Valley. All of the wines, however, are meticulously finished, aged and bottled in Guigal’s own cellars. The firm also produces wine from almost every Rhone AOC, including Côte-Rôtie, Condrieu, Hermitage, Croze-Hermitage, St. Joseph, Tavel, Châteauneuf-du-Pape, Gigondas and Côtes du Rhône. ~ by Thomas on May 31, 2011.